First published on September 17th, 2010. For those who might not now, this place is full of resorts and all-inclusive packages; it’s the American equivalent of Cuba for French Canadians. My boyfriend and I wanted something different. So, instead of booking in an all-inclusive resort and cooking ourselves on the beach, we decided to go there and have a good time scuba diving. We indeed had a great time, logging 6 dives in 3 days. I would have done more scuba, but the prices were hard on our wallet! Anyway, I got to see lots of tropical fishes, which I love: Pufferfish, Butterflyfish, Porcupinefish, Rays, Moray eels, Nudibranchs, Groupers, Boxfish, etc. But no sharks and no sign of my favorite fish (the Redtooth Triggerfish), even if I saw it’s close family member – a small version of the Titan Triggerfish. Weather was great: hot and sunny everyday. And after having dived in the Monterey Bay, I was amazed by the visibility; (we had about a 60 feet visibility – 20 meters). Almost as good as what we had in Indonesia! 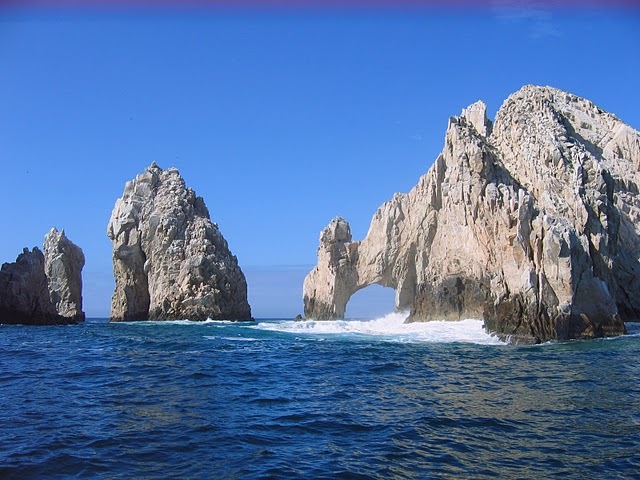 Should you plan a trip to Los Cabos and think of diving, I recommend you dive with Manta Scuba Diving. Their prices are quite high, but you have a great service. The only downturn: we had short dives 2 out of the 3 days we were diving. Instead of our 60-minutes dives at 100 feet, we got 35 and 45-minute dives at 70-100 feet since we were diving with novice divers. I guess that’s the price to pay when diving in touristic places. Anyway, we had a great time there!